Various hotels in China are implementing high-tech solutions to provide guests with superior customer experiences. Through their incorporation of artificial intelligence amenities, such as voice-enabled room service and automated check-in, these hotel chains are more likely to appeal to millennials and to provide overall more frictionless consumer experiences. 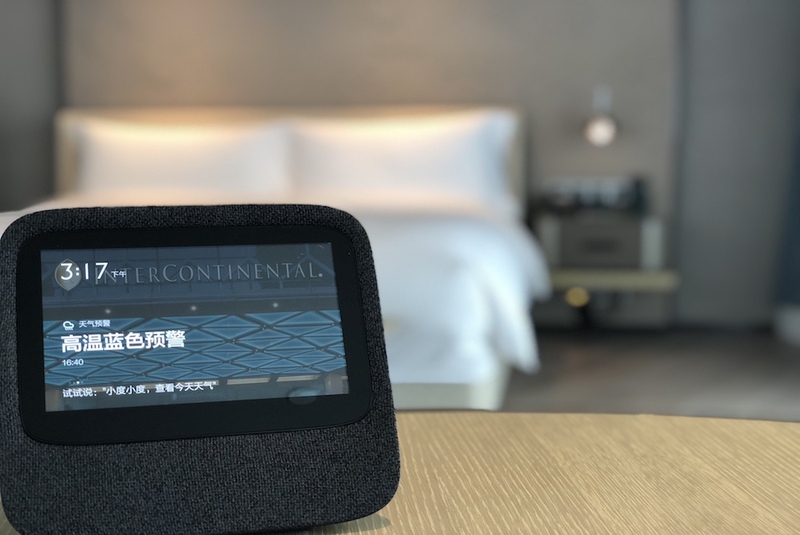 InterContinential Hotels Group is partnering with Baidu, a China-based technology company, to install 100 AI-enabled Smart Rooms. These high-tech hotel suites will use voice control technology to provide guests with convenient in-room and hotel amenity services. This initiative will first be installed in its InterContinental Beijing Sanlitun and InterContinental Guangzhou Exhibition Centre locations. Hangzhou Marriott Hotel Qianjiang and Sanya Marriott Hotel Dadonghai Bay will be the hospitality group’s first locations to integrate facial-recognition technology for check-in, a common consumer pain point. To use the service, guests verify their identities by scanning their IDs, taking a photo and inputting their contact details. Once accepted, the AI-enabled device dispenses the room key to the guest—all in under 60 seconds according to the company. The Marriott also is implementing facial recognition technology to introduce its llet-free check-in service in collaboration with Alibaba, the China-based e-commerce and tech giant. The hotel chain’s Post Post Pay service, launched earlier this year, is now available at over 1,000 Marriott locations in China. Additionally, in an effort to streamline the hotel travel experience, China now has fully-automated hotels. Furthermore, these hotel brands are curating to their local markets to best custom tailor their offerings to the demands for speed and efficiency from consumers in China.